Need a switch that turns on and off at set times? Here is a project by Victor that does exactly that. 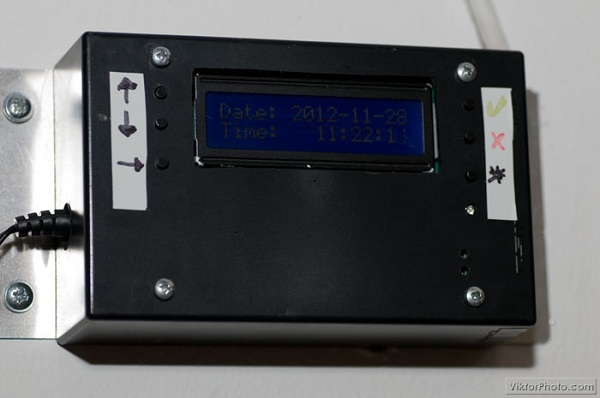 It’s PIC18F4550 based and uses a DS1307 real time clock chip to keep time. A small 12 volt relay acts as the switch. This entry was posted on Thursday, December 13th, 2012 at 7:00 pm	and is filed under project logs. You can follow any responses to this entry through the RSS 2.0 feed. You can skip to the end and leave a response. Pinging is currently not allowed. can u send me compleate project.